This page is last updated on Thursday, May 12th, 2016. Tutorial: "Research Methods in Computer Science"
My main field of research is Software Engineering, with a special interest in Reengineering and in Object-Oriented Development. Due to historical reasons, I maintain a heavy interest in Hypermedia, although I don't do any active research in that area anymore. Here's a list of research topics I am working on. To read more on my research check out http://win.ua.ac.be/~sdemey/research.html. It's probably also worthwhile to check out the web-sites of the research groups I am participating in. There is also a handy research report (in PDF) about LORE's achievements for the period 2000 - 2008. The last decade I supervised a significant amount of PhD students, served in numerous PhD committees and reviewed a countless number of papers. I have condensed all my experience in a Tutorial entitled "Research Methods in Computer Science" which has been taught at a few recent software engineering conferences (ASE 2010, ICSM 2011). All material regarding that tutorial can be found at http://win.ua.ac.be/~sdemey/Tutorial_ResearchMethods/. Here are some key papers that reflect well my current (and past) research. For a complete overview of what I wrote (or helped writing), it is better to check my publication list. Joris Van Geet and Serge Demeyer. Feature location in cobol mainframe systems: an experience report. In Proceedings ICSM'09 (the 25th International Conference on Software Maintenance), September 2009. Bram Adams, Kris De Schutter, Andy Zaidman, Serge Demeyer, Herman Tromp, and Wolfgang De Meuter. Using aspect orientation in legacy environments for reverse engineering using dynamic analysis - an industrial experience report. Journal of Systems and Software, 82(4):668-684, 2009. Andy Zaidman, Bart Van Rompaey, Serge Demeyer, and Arie van Deursen, Mining software repositories to study co-evolution of production and test code., In Proceedings ICST'08 (The 1st International Conference on Software Testing, Verification and Validation), IEEE, pp. 220-229, 2008. Ahmed Lamkanfi, Serge Demeyer, Emanuel Giger, and Bart Goethals. Predicting the severity of a reported bug. In Proceedings MSR'10 (7th IEEE Working Conference on Mining Software Repositories), May 2010. All events are listed in reverse chronological order. Member of the Steering Committee for the International Conference on Software Analysis, Evolution and Reengineering. The SANER conference series joins The Working Conference on Reverse Engineering (WCRE), the premier research conference on the theory and practice of recovering information from existing software and systems, with The European Conference on Software Maintenance and Reengineering (CSMR), the premier European conference on the theory and practice of maintenance, reengineering and evolution of software systems. ECOOP'07 Workshop on Object-Oriented Reengineering. A workshop organised as part of the European Conference on Object-Oriented Programming. Berlin, Germany; July-August, 2006. ECOOP'06 Workshop on Object-Oriented Reengineering. A workshop organised as part of the European Conference on Object-Oriented Programming. Nantes, France; July, 2006. A Tutorial on Meta-Models, Meta-Classes and Meta-Objects by Prof. Stéphane Ducasse. Brussels, Belgium; March, 2006. http://www.fots.ua.ac.be/events/MetaModeling06/. ECOOP'05 Workshop on Object-Oriented Reengineering. A workshop organised as part of the European Conference on Object-Oriented Programming. Glasgow, UK; July, 2005. 2nd BElgium Netherlands Workshop on software EVOLution. A workshop bringing together some groups from the nearby universities working on software evolution. Antwerp, Belgium; July, 2004. ECOOP'04 Workshop on Object-Oriented Reengineering. A workshop organised as part of the European Conference on Object-Oriented Programming. Oslo, Norway; June, 2004. ECOOP'03 Workshop on Object-Oriented Reengineering. A workshop organised as part of the European Conference on Object-Oriented Programming. Darmstadt, Germany; July, 2003. ESEC/FSE'99 Workshop on Object-Oriented Reengineering.A workshop organised as part of the Seventh European Software Engineering Conference together with Seventh ACM SIGSOFT Symposium on the Foundations of Software Engineering. Toulouse, France; September 6, 1999.
in conjunction with ECOOP'99 Conference Lisbon, Portugal; June 14th - 18th, 1999. ACM Hypertext'99. Darmstadt, Germany, February 21 - 25, 1999. The 12th European Conference on Object-Oriented Programming. Brussels, Belgium, July 20 - 24, 1998. ESEC/FSE'97 Workshop on Object-Oriented Reengineering. A workshop organised as part of the Sixth European Software Engineering Conference together with Fifth ACM SIGSOFT Symposium on the Foundations of Software Engineering. Zurich, Switzerland; September 26, 1997. A workshop organised as part of the Hypertext'96 Conference. Washington, D.C., March 16-20, 1996. Linking Aspect Technology and Evolution (Workshop), Vancouver, British Columbia; March 2007. 9th International Conference on Model Driven Engineering Languages and Systems, Genova, Italy; October 2006. European Conference on Smalltalk, Prague, Czech Republic; September 2006.
International Conference on Software and data Technologies, Setubal, portugal; September 2006. European international Conference on model Driven Architecture, Bilbao, Spain; July 2006. Sixth International Andrei Ershov Memorial Conference Perspectives of System Informatics, Novosibirsk, Akademgorodok, Russia; June 2006. 14th International Conference on Program Comprehension, Athens, Greece; June 2006. Linking Aspect Technology and Evolution (Workshop), Bonn, Germany; March 2006. The IASTED International Conference on SOFTWARE ENGINEERING, Athens, Greece; June 2006. The fifth Working IEEE/IFIP Conference on Software Architecture, Pittsburgh, USA; November 2005. 13th International Workshop on Program Comprehension, St.Louis, Missouri, USA; May 2005. European Conference on Smalltalk, Brussels, Belgium; August 2005. European Conference on Smalltalk, Kothen, Germany; September 2004. Fundamental Approaches to Software Engineering, Barcelona, Spain; April 2004. European Conference on Smalltalk, Bled, Slovenia; August 2003. 15th European Conference on Object-Oriented Programming, Budapest, Hungary; June 18 - 22, 2001. AACE '2000 World Conference on the WWW and Internet San Antonio, Texas; October 30 - November 4. 14th European Conference on Object-Oriented Programming Sophia Antipolis and Cannes, France; June 12 - 16, 2000. Generative and Component-Based Software Engineering Symposium. Co-hosted with the Smalltalk and Java in Industry and Education Conference '99 (STJA'99) and organized by the Working Group "Generative and Component-Based Software Engineering" of the German "Gesellschaft fur Informatik" under the auspices of the STJA Foundation. Erfurt, Germany; September 28-30, 1999. AACE '99 World Conference on the WWW and Internet Waikiki Beach, Honolulu, Hawaii, USA; October 30 - November 4, 1999. Gave a Keynote entitled "Research in Software Evolution -- 'in vitro' vs. 'in vivo'" at the 14th European Conference on Software Maintenance and Reengineering CSMR'2010 (Madrid, Spain; March 2006). Taught a tutorial on Object-Oriented Reengineering at the University of Innsbruck (May 2008). Presented an invited lecture during the CHOOSE'2006 Forum (Berne, december 2006). Taught a tutorial on Object-Oriented Reengineering at the ICSM'2005 Conference. 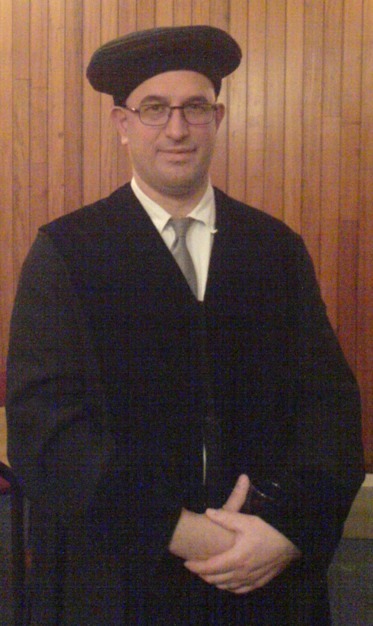 Gave a lecture on Reengineering Patterns during a special event concerning "Realiteit van OO transities" ( "Vlaams Software Platform") on March, 23rd, 2005. Gave a lecture on Software Engineering Deonthology during a special event concerning "Juridische aspecten by softwareontwikkeling" ( "Vlaams Software Platform"), on May, 6th, 2004. Basically, we presented a set of legal patterns, describing best practices concerning legal protection during software projects involving 3rd parties. Gave three lectures as part of the course on "Enterprise Application Integration and Software re-engineering" organized by the "Instituut voor Permanente Vorming" (University of Ghent) during January/February 2004. Gave a lecture as part of a course on "Software testing" organized by the "University of Antwerp - Management School" (March, 30th, 2004). Presented Object-Oriented Reengineering Patterns at the FNRS Contact Day on Software (re-)engineering. Louvain-La-Neuve, Belgium, May 2003. 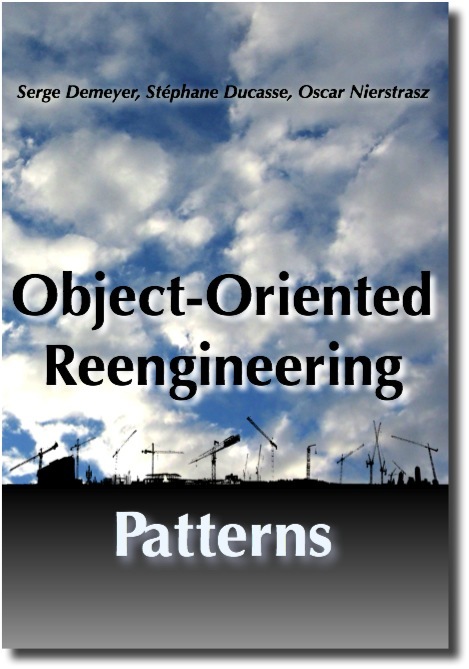 Presented Object-Oriented Reengineering Patterns at the Belgian Java Users Group. November, 2002. Taught a tutorial on Object-Oriented Reengineering at the OOPSLA'2002 Conference. Taught a tutorial on Object-Oriented Reengineering at the OOPSLA'2000 Conference. Taught a tutorial on Object-Oriented Reengineering at the OOPSLA'99 Conference. Taught a tutorial on Object-Oriented Reengineering at the ECOOP'99 Conference. Presented the FAMOOS project at the ESUG '97 Summer School, Nice - France. August, 1997. Presented the FAMOOS project at the The practical issues of OO seminar, Antwerp - Belgium. November, 1997. Bart Du Bois, A Study of Quality Improvements by Refactoring. September, 6th, 2008. A. Zaidman, Scalability Solutions for Program Comprehension through Dynamic Analysis. September, 6th, 2008. OOPSLA'2000 Conference, Minneapolis - Minnesota, October, 2000. EUROPLOP'2000 Conference, Kloster Irsee - Germany, July, 2000. ECOOP'2000 Conference, Cannes - France, June, 2000. OOPSLA'99 Conference, Denver - Colorado, November, 1999. UML'99 Conference, Fort Collins, Colorado, November, 1999. ESEC/FSE '99 Conference, Toulouse - France. September, 1999. ECOOP'99 Conference, Lisbon - Portugal, June, 1999. Hypertext'99 Conference, Darmstadt - Germany, February, 1999. LMO'99 Conference, Nice - France, January, 1999. ECOOP '98 Conference, Brussels - Belgium. July, 1998. ESEC/FSE '97 Conference, Zurich - Switzerland. September, 1997. ESUG '97 Summer School, Nice - France. August, 1997. ECOOP '97 Conference, Jyvaskyla - Finland. June, 1997. Hypertext '97 Conference, Southampton - U.K. April, 1997. Hypertext '96 Conference, Washington - U.S.A. April, 1996. 6th ACM Hypertext Conference, Edinburgh - U.K. September, 1994. 9th International Conference on Data Engineering, Vienna - Austria. April, 1993. 2nd Euro-GDSS workshop, Brussels - Belgium. November, 1992. 3rd ACM Hypertext Conference, San Antonio - U.S.A. December, 1991. ECHT'90 Conference, Paris - France. November, 1990. DS-4, Object Oriented Databases, Windermere - U.K. July, 1990. [MSR-Vision'12] Mining Summer School MSR Vision 2020, Kingston - Canada, August 2012. [EVOL'08] 4th International ERCIM Workshop on Software Evolution and Evolvability, L'Aquila, Italy, September 2008. [ECOOP'07] Workshop on Refactoring Tools, Berlin - Germany, July-August, 2007. [ECOOP'06] Workshop on Object-Oriented Reengineering, Nantes - France, July, 2006. [ICSM'05] 13th International Workshop on Software Technology and Engineering Practice (STEP), Budapest - Hungary, September, 2005. [ESEC/FSE'05] International Workshop on Principles of Software Evolution (IWPSE), Lisbon - Portugal, September, 2005. [ECOOP'05] Workshop on Object-Oriented Reengineering, Glasgow - UK, July, 2005. 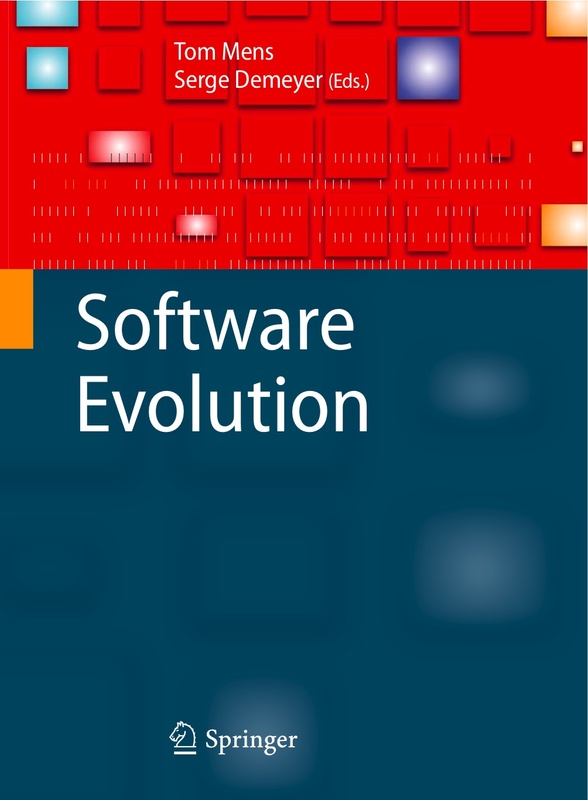 [ELISA'03] Evolution of Large-scale Industrial Software Applications, Amsterdam - The Netherlands, September, 2003. [ECOOP'03] Workshop on Object-Oriented Reengineering, Darmstadt - Germany, July, 2003. [ESEC/FSE'2001] International Workshop on Principles of Software Evolution (IWPSE2001), Vienna - Austria. September, 2002. [ECOOP'2001] Workshop on Object-Oriented Architectural Evolution, Budapest - Hungary, June, 2001. [OOPSLA'2000] Workshop on Scenario-based round-trip engineering, Minneapolis - Minnesota, October, 2000. [ECOOP'2000] Workshop on Object-Oriented Architectural Evolution, Cannes - France, June, 2000. [ESEC/FSE'99] Workshop on Object-Oriented Re-engineering, Toulouse - France. September, 1999. [ECOOP'99] Workshop on Object-Oriented Architectural Evolution, Lisbon - Portugal, June, 1999. [Hypertext'99] 1rst Workshop on Structural Computing, Darmstadt - Germany, February, 1999. [ECOOP'98] Workshop on Object-Oriented Product Metrics for Software Quality Assessment, Brussels - Belgium, July, 1998. [ECOOP'98] Workshop on Techniques, Tools and Formalisms for Capturing and Assessing the Architectural Quality in Object-Oriented Software, Brussels - Belgium, July, 1998. [ESEC/FSE'97] Workshop on Object-Oriented Re-engineering, Zurich - Switzerland. September, 1997. [ECOOP'97] Workshop on Object-Oriented Software Evolution and Re-engineering. Jyvaskyla - Finland. June, 1997. [Hypertext'97] 3rd Workshop on Open Hypermedia Systems. Southampton - U.K. April, 1997. [Hypertext'96] Co-organizer of the 2nd Workshop on Open Hypermedia Systems. Washington - U.S.A. April, 1996. 1st Official Euro GDSS Workshop, Tilburg - The Netherlands. April, 1995. [Hypertext'94] 1st Workshop on Open Hypermedia Systems, Edinburgh - U.K. September, 1994. 3rd Euro-GDSS and GDNS workshop, Glasgow - U.K. November, 1993. Fundamental Computer Science Contact Group, Antwerp - Belgium. May, 1992. 2nd Eurographics Workshop on Multimedia, Darmstadt - Germany. May, 1992.